There are some manners to take the water. 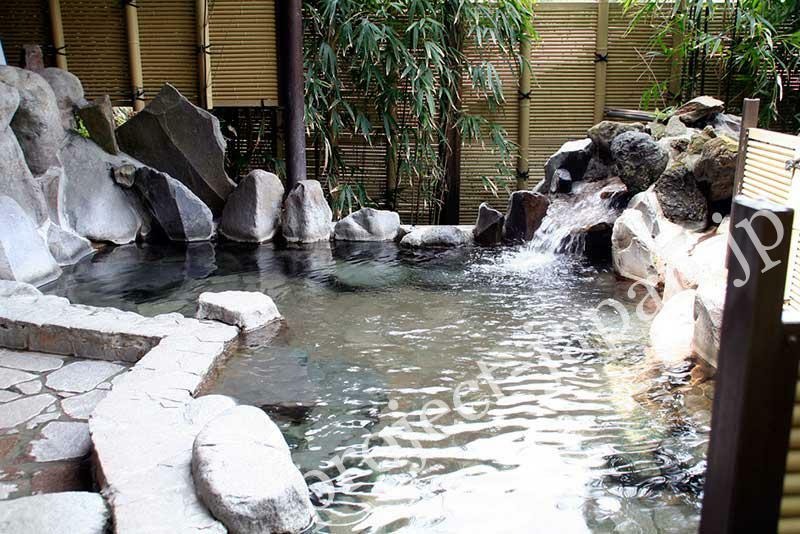 They have something in common with the manners in Sento (public bathhouse). You must clean your body before having a soak in hot water. Washing and rinsing are preferable, but only rinsing is OK by using some scoops of fresh water when your body is not so dirty. After the body washing, you need to check if soap or shampoo bubbles are not remained around the washing space. When you find it, please clean it up. Do NOT dip a towel with which you wash your body or dry wet hair into the bathtub. When getting out of the bathtub, wipe down lightly with a towel before entering the dressing room in order to avoid the floor getting wet.